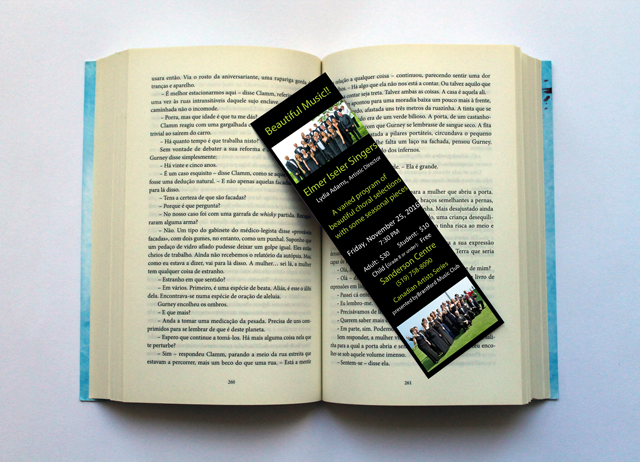 Bookmarks are used to keep track of a place in your place in a book. They also make nice promotional handouts. Sometimes added coating like UV Gloss is recommended as it helps promote a long shelf life for the bookmark and adds an attractive shine. AQ Gloss coating is also popular as the turn around time is much quicker and often time is everything for a client. Finished size available: 5"x7", 2"x7", 2"x8", 2.5"x8.5", 2.75"x8.5", 3"x4", 3.5"x8.5", 3.66"x4.25", 3.66"x8.5"